Zephaniah addressing people (French bible, 16th century). St Paul’s words to Timothy are startling in their clarity. After reminding the rich of the limits of their wealth he goes on to tell them to “be rich in good works, ready to give, willing to share” (v. 18, NKJV) And they are to do these things not simply because they are the right things to do but because by doing so the rich are “storing up for themselves a good foundation for the time to come, that they may lay hold on eternal life” (v. 19, NKJV). Today almost 500 years after the Luther and in a popular religious culture formed by Evangelical Christianity, even Orthodox Christians are likely to find Paul’s language unsettling. He just sounds so commercial. I am to do good works—and especially to give to the poor—so that I can obtain eternal life. It’s almost like Paul is saying to us that we are to use the transitory wealth that “moth and rust destroy” and that “thieves break in and steal” to “lay up for yourselves treasures in heaven” that are everlasting (see Matthew 6: 19-21, NKJV). And you’d be right. This is exactly what are called to do. In the Liturgy of St Basil, for example, after recalling just some of the myriad good works that ask God from us, the priest asks to grant “for earthly things, heavenly [Cf. John 3:12]; for temporary ones, eternal [Cf. 2 Cor. 4:18], for corruptible, incorruptible” [Cf. 1 Cor.9:25]. Again, while this is scandalous to those formed according to the values of our popular religious culture, faith alone is not sufficient for salvation. We must have good works; “faith by itself, if it does not have works, is dead” (James 2:17, NKJV). This is the very point Jesus makes in the Gospel. Our Lord tells the parable of the vineyard owner who expects from his tenants “that they might give him some of the fruit” (v. 10, NKJV). It’s worth noting that while the owner doesn’t expect his tenants to give everything—after all if they did how would could they survive much less care for the vineyard in the coming year—he does expect them to give something. 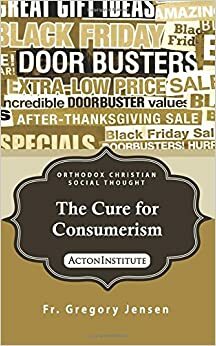 The owner is not a greedy man but “indulgent” and even generous toward his tenants which make “more inexcusable their stubbornness (St Ambrose of Milan, “Exposition on the Gospel of Luke,” 9.23-24 in vol III of ACCS NT: Luke, p. 305). Likewise, God in Jesus Christ is generous with me. I stumble and fall into sin, usually the same sin, again and again. And each time He is ready, eager really, to forgive me. Never once has God left me in my sin. Rather again and again He reaches down from heaven and lifts me up granting me an ever greater share of His life (see 2 Peter 1: 1-11). In return what He asks is that I do some good work for my neighbor. But make no mistake. No matter how small the good deed there is no salvation without works worthy of our faith.